Look to Him and be Radiant: Hello! I believe that driving is best with the windows down and the radio up, mornings are made tolerable with coffee and prayer, and blue is the best color of nail polish. I am a Catholic, teacher, sister, klutz, crafter, daughter, farm girl, Godmother, aunt, reader, and friend. I live in small town Central Illinois. You can contact me in the comm box below, or send an email to looktohimandberadiant (at) gmail (dot) com. Look to Him and Be Radiant operates the https://www.looktohimandberadiant.com website, which provides printables, resources, lesson plans, and recommendations for Catholic homes and classrooms. This page is used to inform website visitors regarding our policies with the collection, use, and disclosure of Personal Information if anyone decided to use the Look to Him and Be Radiant website. I´m a religion teacher in Luxembourg (Europe) and by chance (or maybe God´s will) I got to your blog. I just want you to know that I think your blog is awesome and very inspiring !! Our elementary school is in a very difficult area of Luxembourg city and I´m teaching 11 classes in religion. Unfortunately the children live in a parish hated by their priest and left alone by our archbishop. Please pray for us, for me. Sometimes I´m getting so desperate and angry with that situation that I want to go away. But then "my" children come to me and ask me to tell them about Jesus and I just can´t go. Your blog and your wonderful ideas inspire me to go on teaching. Thank you ! Hugs and prayers from Luxembourg. Wow, Bebyles! Eleven classes, and in such a challenging situation. Be assured of my prayers for you, your students, and your school. Thanks for your encouragement all the way from Luxembourg! Keep doing Christ missionary work on earth! The children need you more now than ever! I too feel your concern as some of my students do not attend msss regularly if at all. It is frustrating to teach 4th graders who do nit know about the sacraments much less the madd😞. I keep trying so if I teach 1:2?each year that’s better than NONE! I just prayed for you for strength and endurance to continue the Lords work through your students! Thanks Katie Anne all the way from Australia ! You graphic organiser for Sacrament is exactly what I was looking for my Year 4 class ! Wow! Australia! That is so great! Blessings on your class :) Hope they enjoy the graphic organizer. Be assured of my prayers! I was wondering if you have ever put anything together to explain each part of the Mass. I found many great things here I would like to use. I would love to know if you have anything to help me on this! The Mass booklet is awesome! Well done! Wow, Thank you so much for sharing this you are amazing! I love your ideas and look forward to going over your blog with a fine tooth comb looking for what I can use in my class! :-D Would you happen to have an easy way to teach the Nicene Creed. Maybe diagrams or pictures? I would love to see what you've got! Anyway, the photo of your great-greats memorialized on the church window intrigues me. My great-great have one to. Any idea what our great-great did to deserve this honor? I found your blog today and I am in LOVE with all that you do!!!! Thank you for sharing all your creativity and faith!!! I am a convert in search of things to be able to better teach my children and all I can say is WOW!!! I think I will pass along your link to the DRE at my parish and to some of the catechists. Thank you!!! Thank you!!! You made my day!!! Thanks, Gabriela! I am glad that you are finding good resources to use with your kiddos. Please pass me on- the more the merrier! Hi Paul! That is exciting, and I am glad you were able to use the Lent cloud as a resource. I'll be sending you an email with more info. Thanks! Hi Deb! I am so glad that you found me. I would love to be able to help, but I have never used that type of a survey at the end of the CCD year. I have done it with adults for Bible Studies, but that wouldn't quite meet the same need. -I would make it anonymous, so hopefully you get more honest answers. -Consider using a Google Form. The parents might be more likely to fill it out if they can do it at the computer or on their phone. It also will help you collect and compile the results. -Leave room for open ended suggestions- they might have something on their mind that you didn't even think of. -Take the results and consider them, pray about them, and act on them with necessary. However, one loud (negative) voice doesn't necessarily mean that you have to change things. My experience with surveys from schools and other programs for kids is that people who are content tend to not speak up. Unfortunately, people who want to complain are going to. Best of luck with that project! I'd love to hear about what you decide to do! Hi Katie! I'm writing from Georgia in hopes you can help me. I was trying to determine the authenticity of a story I had read once about Fulton Sheen and was discussing my dilemma with the DRE at my parish, who then referred me to your blog. I'm a catechist and it's a story I started to share with my 3rd grade RE class and realized I had never found out if it was a true story and told them I would find more information before I continued the story. Anyway, it's a story that tells what inspired Fulton Sheen to make a vow to pray a holy hour in front of the Blessed Sacrament for the rest of his life. The story is about a little Chinese girl, in some accounts her name is Li and others her name isn't mentioned, who witnesses Communist soldiers destroying a tabernacle and spilling out 32 consecrated hosts onto the floor. She comes back for 32 days and prays a holy hour before the Precious Body and consumes one host each day. On the last day a soldier sees her and kills her. I've left out a lot of details. It's a beautiful story, but because I believe in finding authentic information to share with my students and because there are so many versions to the story I am confused as to whether the story is true or not. I was hoping you may have heard of this story and can tell me if it is authentic. I look forward to hearing back from you. Have a blessed day. Hi Kathy! I am very familiar with the story, and too understand your dilemma about sharing accurate info. One thing that is not true about the way that some tell that story is that hearing of the martyrdom of the Chinese caused Sheen to start to make a Holy Hour daily. Sheen was ordained in 1919 and the Communists took over China during the late 1940s and 50s. We know that he promised to spend an hour in prayer before the Eucharist every day when he was ordained. He also does not mention this story in the chapter on why he makes a Holy Hour in his autobiography Treasure in Clay. (you can read that chapter in the link below). However, apparently hearing this story inspired Sheen to continue his Holy Hour and to encourage others to do the same. I think he spoke about it on television, and I am checking into finding our when that was, as well as if he wrote about it in any books or articles. If you want to reply back to this comment, with an email, we can continue the conversation there. You also can email me: katherine (dot) bogner (at) gmail (dot) com. 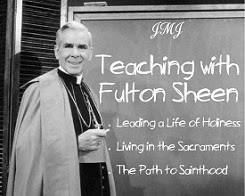 Thanks for the good work you do with your students down there in Georgia, and for sharing the life of Fulton Sheen with them! I found some more information for you! Apparently Sheen HAD heard of the story of the Chinese martyr while he was in Seminary, so she did influence his decision to commit to a daily Holy Hour. Fr. Andrew Apostoli heard the story from a Seminary classmate of Sheen's. They presume that the story actually occurred during the 1911 Republican Revolution or the Boxer Rebellion (1899-1901). A summary of Sheen's connection with this story can be found on p.30-36 in the book St. Therese, A Treasured Love Story by Fulton Sheen. Oops, that was from Kathy...from the April 22 post with the Fulton Sheen inquiry. Hi Katie! 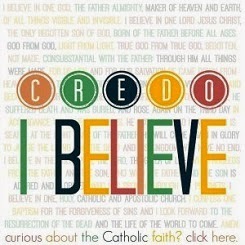 Love your ideas and the ways you share the Catholic Faith. I am helping the DRE in my parish and we are starting to think about next year and our "theme" for the year. And then Pope Francis announced the Holy Year of Mercy. So we are going to really focus on Divine Mercy this coming year with the kids. Wondered if you had any ideas (or where to find) on ways to bring this to the kids. I am going to search your ideas for Divine Mercy too :) Keep up the good work and thank you for sharing all of your ideas! We are totally on the same page! "Do justly, love mercy, walk humbly" is going to be our CCD theme next year and I am prepping for a talk in the fall about teaching kids about mercy! Great minds :) Keep coming back, because I will be posting more over the summer and leading up to the Year of Mercy which starts on Dec. 8th. In the mean time, I have started a Pinterest Board that you might want to follow https://www.pinterest.com/ktanne85/year-of-mercy/. OH - my name is Emily. I guess I didn't sign my last comment :) I will send you my contact info. Thanks again and look forward to more blog posts! Wow, Lacey! I am so glad that it was a good resource for your classroom and a meaningful experience for you students and parents. I appreciate so much your encouragement! I wonder if you have any feedback, tips, or info about how you used the unit with your kids that you would be willing to share? Seeing how something is used in another classroom is always fruitful! You can comment here or send me an email at katherine (dot) bogner (at) gmail (dot) com. Thanks so much! 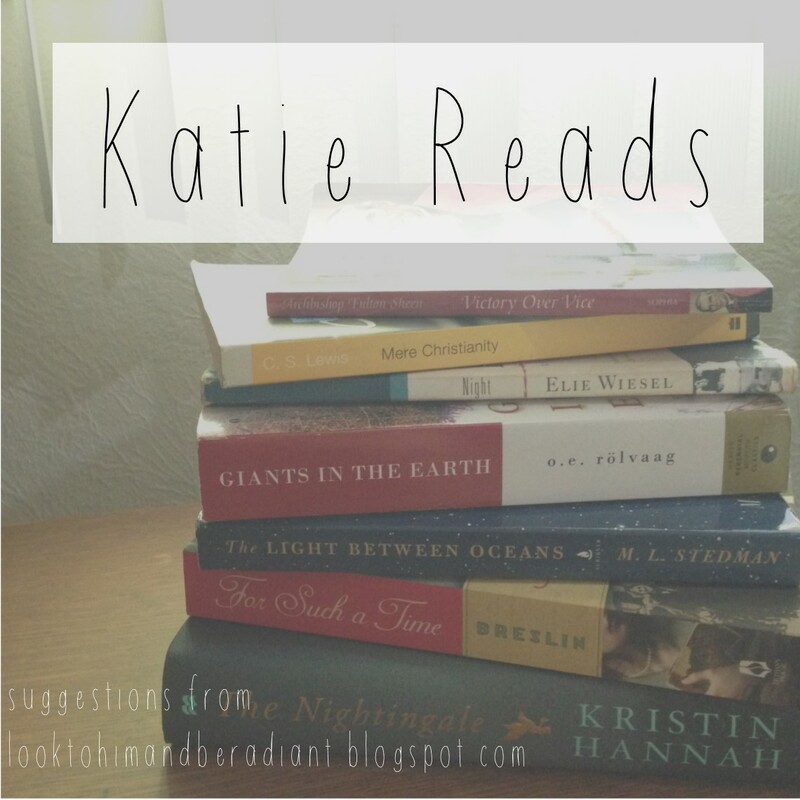 Hi Katie, I feel that your blog is an answer to my prayers. Like you, I am a teacher, and DRE, as well as in charge of our youth group that I started up 5 years ago when taking over as DRE at my local parish. Just last week at our youth group meeting, I was teaching a lesson on Pope Francis and we were discussing his soon trip to the US and my students (Middle and High School age) started asking so many questions about our faith and our church. I was shocked on their lack of knowledge on some of the topics and the more we discussed the more I realized how much I need to do to help them in their spiritual lives. I came home upset and prayed for God to open a door and give me some much need resources and then I stumbled onto your blog! Some of the questions they were asking you have activities and videos on. I really like your Cafeteria is Closed ideas, as well as many many more. I just wanted to take a moment and say thank you for all the hard work you have put into this blog and all the resources. You are a true angel for sharing! May God bless you! Wow, Hannah! It sounds like we have a lot in common- teacher, DRE, Youth Minister... :) I am glad that you have been finding some resources here to use! You have reminded me that I never finished posting about all of our Cafeteria is Closed lessons...whoops. I will have to do that! If you send me an email, I can email you all of the files so you don't have to wait on me getting posts done. Mine is katherine (dot) bogner (at) gmail (dot) com. Also, my Youth Group kids have picked their topic for the year, and they want to talk about all of the "hot button" issues going on right now- Planned Parenthood, the Supreme Court decision on marriage, etc. so I think I will be revisiting those Cafeteria lessons and beefing them up. I am glad to be in the same boat with you! Blessings on you and all of those kids that you work with! I just loved your Halloween coloring pages. How about a page about the true zombie, the true walking dead are those in mortal sin. I'm glad you liked the Halloween printables, Julie! Thanks for the feedback and the idea- I will keep it in mind. Thanks! Hi Katie! We used to live in Washington, Illinois. We loved it there. 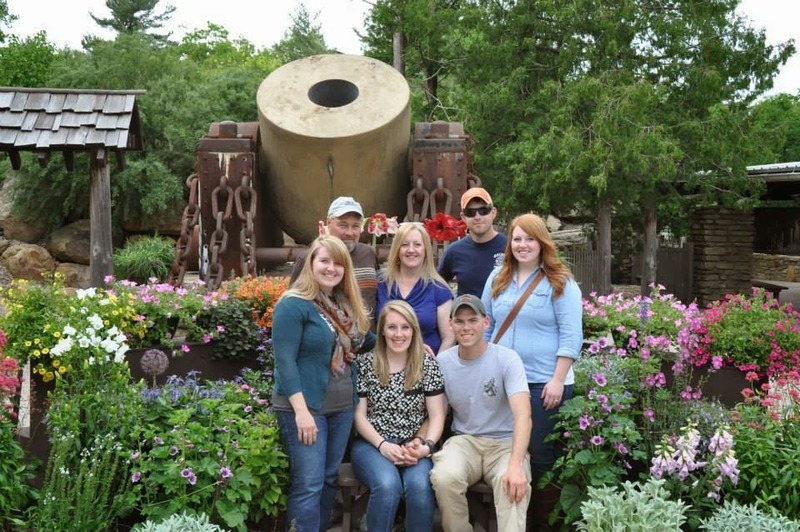 We moved back south to be closer to family. 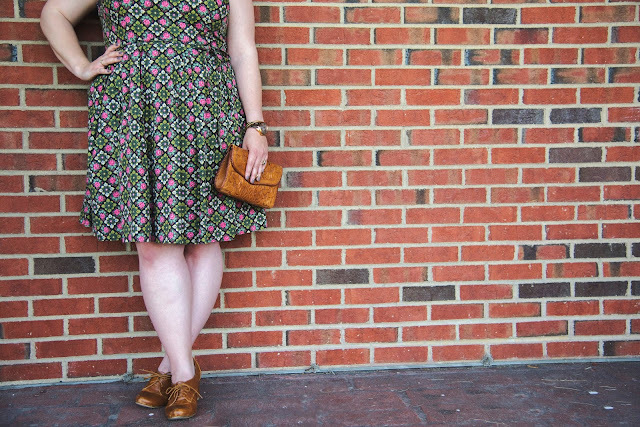 I love all that you have put together on your blog. Very great job. Keep it up! I love Washington! I have lots of friends that live there- it is a lovely small town. :) Thanks so much for your feedback! I am glad that you are finding things that are useful to you! Thanks for stopping by! Katie, you may be a life saver! I really want to do a Year of Mercy VBS this summer (DUH!) but none of the Catholic VBS publishers had the foresight to create one! :( So, I'm back to writing my own, and your craft ideas and resources are going to be SO VERY USEFUL!!! I can give this to my Craft people and they will totally run with it. Once I put it all together I'd like to offer it for anyone else out there that may want to do something similar. Would you be willing to (after reading it of course) put it up on your blog? I won't be selling it or anything, just offering it as another resource. Thanks again for doing so much leg-work on the Year of Mercy for kiddos! Hi Michelle! I'm so glad you (and your friend) found me! Please use all the materials you want in your programs! Where do I find the time...well... it's one part making time for things you live and one part the necessity of making what I need to make my classroom a better learning environment. And I guess if I making stuff, I want to share it so others can benefit as well. So, so, so glad you will be following along. Blessings on your ministry! Greetings from Mary to Katie! I praise God this lovely morning for the gifts and talents that He has given so graciously to you and for your generosity to share with us. 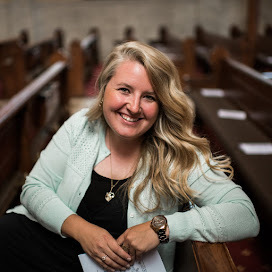 I am so grateful that the Holy Spirit led me to your site (you are bookmarked as one of my favs) and you have helped me thru your gifts and talents to teach my class about how the Sacraments make the invisible Grace of God visible. Father God Bless Katie, her family and all those that she comes in contact with, in Jesus' Precious Name we pray Amen. Thanks so much for your kind words and more especially for your prayers! They are appreciated! Dear Katie Anne I love your blog and the way you teach...My name is Astrid and I live and work in Italy even if I'm dutch. I wanted to create a lapbook with my children at school. I used your ideas but I don't want to steal, I brought you with me in Italy , I tried carefully to write your property everywhere. I needed to change something because of the language, I hope you don't mind but if you have some problems I willl take it of. Maybe you can find some ideas into our blogs to. Even if you have plenty of creativy by yourself. A big kiss from Italy and a happy year of mercy full of grace! Hi Astrid! That is so great! I'm so glad that you found me and used the materials for the lapbook. I love how they turned out! Thank you so much for sharing your final project with me and for linking back to my blog. What great work you are doing! :) I love that we can share in this Year of Mercy all the way from Illinois to Italy! I just found your blog while looking for some materials on prayer for our youth Sunday School. Thanks so much for the Hands of Prayer printable! I think the kids will love coloring this while we talk, and what a wonderful way to remember all of your prayer concerns. I can relate to getting into a pattern of praying for the same things! 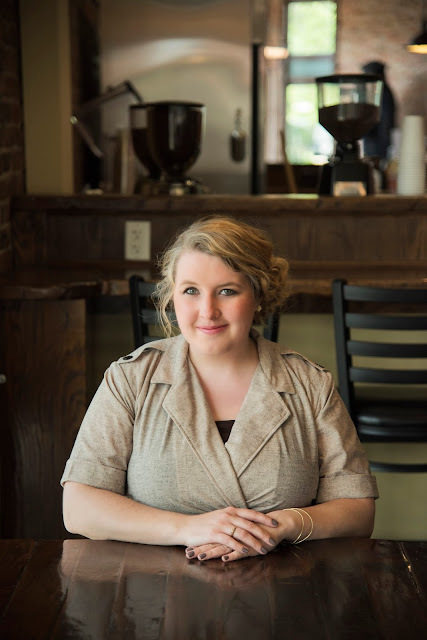 I am new to your blog and saw that you are from Central Illinois...I live in Carlisle, Pennsylvania now but grew up in Decatur, Illinois...wonderful place and people! Thanks again for your blog! Wow! Thank you! What an amazing blog you share. I have downloaded several activities for my class. This is a ridiculous question but can you tell me what font you use for your prayer activities? It's so simple and clear. Thanks again. I love the name of your blog! It's my favorite psalm. It's so full of joy! God bless you in the work you do. Mine too! :) Thanks for visiting! You have no idea how much of a blessing your resources have been. Your materials have truly brought my lessons to life. I am grateful for ALL of the hours your materials took you. As a Catholic School teacher, I don't make a lot of money. I am constantly buying resources in order to beef up my lessons. This blog has saved me so much money! I just wanted to let you know how much you have helped me as an educator. THANK YOU! You are very welcome! Trust me, I understand needing resources and tight budgets- that's why I started making so many of my own- so I figured I might as well share them. :) Thanks for your sweet comment! I love your page! You are a blessing with your posts and I can see you are following your calling! I did the Lent detective journey with my kids this past weekend and they loved it! The next big retreat we have is for Advent...do you have anything similar or any ideas for an Advent retreat? haha! I mean I did the advent one recently and looking for something for Lent! :) Oh my! I'm so glad that you liked it! I don't have a similar detective journey for Lent, but that is a great idea. I have quite a few Lent resources, and I bet you could use many of them for your Lent retreat. You can find them all under the "Church Year" tab above. Thank you, Katie Anne, for your ideas and inspiration!! I'm looking for a Catholic daily children's devotional book or flip calendar for 1st-4th graders, and wonder if you have any suggestions. Ooo, that's a tough one Clare- I can't think of a specifically Catholic daily devotional for kids that age... There are often great ones for Lent or Advent, but I assume you are looking for a 365 one. (I've seen and used Magnifikids, I have not tried Living Faith Kids. Good luck! Let us know if you find something great! From this old DRE ... keep up the GREAT work!! I love your things, your energy and your love for the Lord and His children. I often reference your site, either for myself or my catechists. LOOOOOOVE IT! Thanks so much, Julie! You're so sweet! Hi Katie! Just wanted to say thanks for all you do! Your blog is a constant source of inspiration for me. I have 5 children of my own and teach a 7th-8th grade PSR class, so your materials are frequently referenced. Keep up the wonderful work you do. I appreciate it so very much!! Wow, I just found your materials when I was searching for something on the sacraments. Our parish is using some terrible books this year for catechism and I needed some supplemental material. I teach 7-12th grade First Communion but your web diagram and Signs worksheet will be perfect for them. Will check out the rest of your stuff as well. Thank you for your beautiful O Antiphons. My 6th catechism class loves to color. Have you heard about Pontifex University? I am currently taking classed for my Masters of Sacred Art. The staff is excellent and the classes are self-paced. Wow! I am so happy to have found your site. You clearly have a gift for sharing our faith with children... know that I will be using many of these resources with my third grade class. Also, a question, what journaling Bible do you use? Thank you and God bless you! Thank God for teachers like you! Keep up the good work of feeding these young souls the truths of our faith. May God bless you for your love and passion for spreading His message! Thank you so much for you and what you are doing for all of us. Your site has so many ideas and has been incredible help to me as a new religious teacher. God Bless! Found you via a God Wink - Am so excited to be able to use your site for ideas as I prepare our son for confirmation and help in our parish.